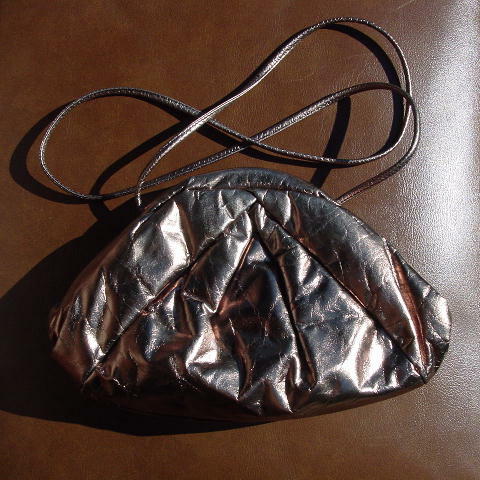 This vintage bronze-gold genuine leather purse was made in the USA. The leather is very thick and it has a 48" shoulder strap that can be tucked in and carried as a clutch. The thick fabric lining is in a black with a hint of brown color, and it has an interior zipper compartment. Eden used this purse in Paris. It has her name written on the label which is on the interior pocket.